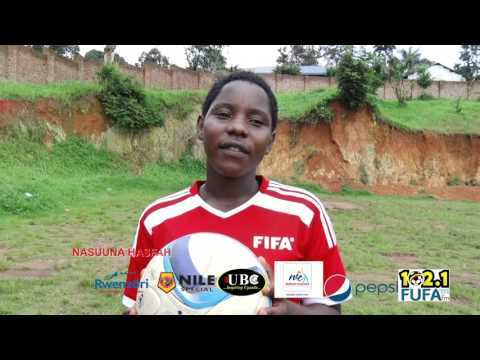 Match day two of the 2019 FUFA Drum competition will be held this coming weekend on Saturday, 13th April and the subsequent day. The respective teams are roaring and eager for action following the opening weekend, a fort night ago. As match day two kicks off, all the teams have received two sets of jerseys that will be used this very season. This is an improvement from last season, where every province got only one pair of uniforms. On Wednesday, during the weekly press conference at FUFA House in Mengo, the jerseys were officially launched and displayed before the media by the FUFA Drum local organizing committee chairperson, Rogers Byamukama. 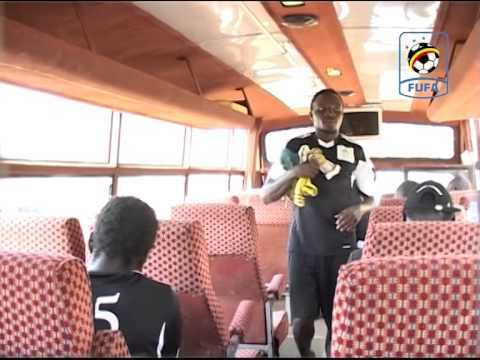 ‘There are two sets each for the 16 provinces in the FUFA Drum tournament. We are set for the match day two this weekend and the tournament is getting competitive by the day. 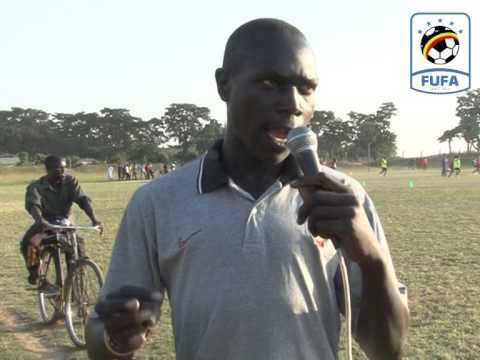 Unlike last season, the gap between the teams has been narrowed down and this was proved during match day one where teams as Bunyoro picked a win away over West Nile in Zombo, Kampala lost to Rwenzori and Karamoja fell to Acholi away in Gulu’ Rogers Byamukama disclosed. Lango Province striker Wanock Petit (L) battling with Buganda Province defender Enock Walusimbi in the opening match of The FUFA Drum. 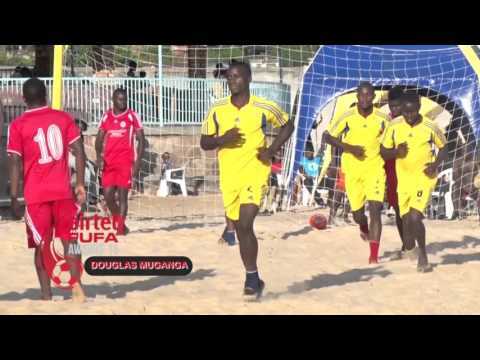 Both teams were in new sets of jerseys provided by FUFA. Byamukama continued to applaud the great job done by the respective cultural leaders, team committees, sponsors and the media in promoting the tournament. On Saturday 13 April 2019, there will be four games. 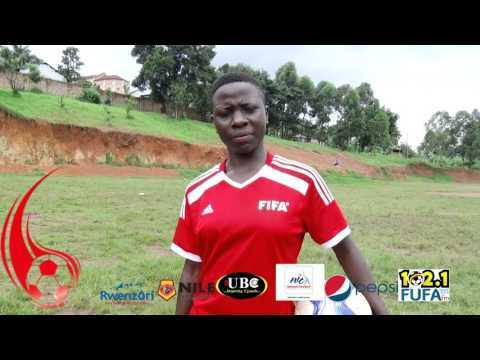 Bunyoro will take on Acholi at the Kiyaga Primary School play ground, in Hoima. 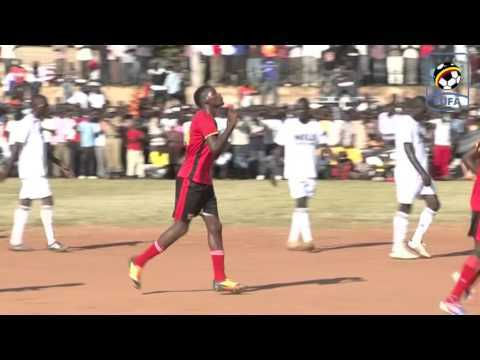 Tooro hosts a wounded Kampala side at the St Paul’s National Seminary in Kabarole district. Lango, who lost their opening game to Buganda in Mukono faces Ankole at UTC play ground in Lira. Meanwhile, Sebei will play host to Buganda at the high altitude Kiprotich play ground in Kapchorwa. The other four games will come on Sunday 14 April 2019. Bugisu vists Teso at the Soroti Sports Ground as Kigezi will be home to Bukedi at Kabale Municipal, Kabale. Team managers have been advised to submit their respective match day squads to FUFA within 48 hours from kick off for planning purposes. The FUFA Drum tournament is embedded along the theme, ‘Celebrating our Ancestry’.